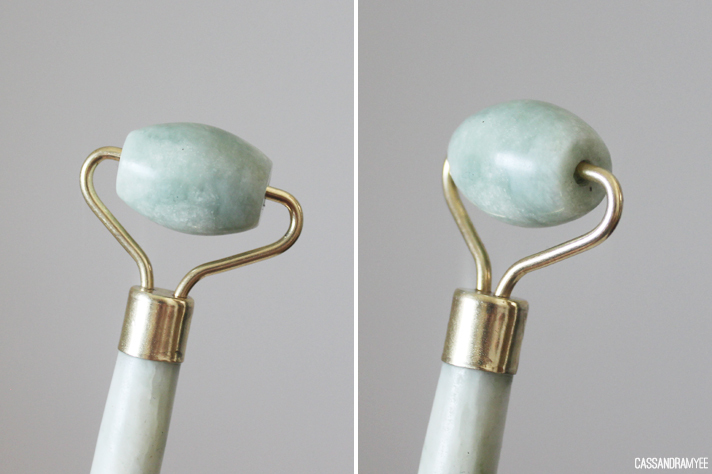 You are probably thinking, why the heck is she massaging her face with this odd looking thing? 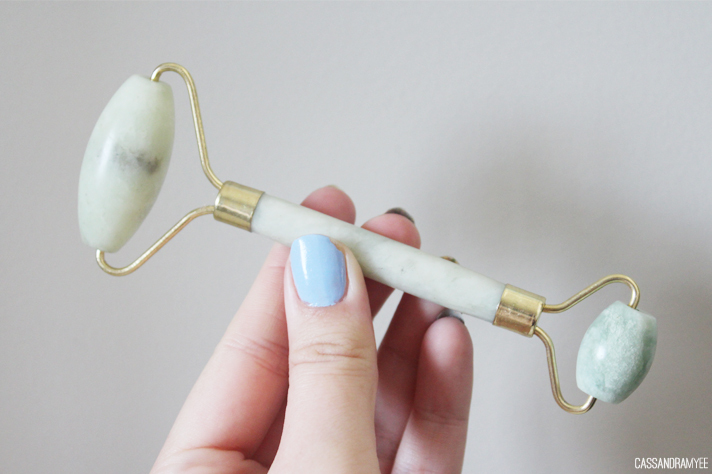 Well apparently, there is something about Jade which is brilliant at cleansing the skin and expelling toxins from the body. The rolling motion on the face helps to relieve puffiness, stimulate the facial muscles, which in turn helps to balance skin tone and supposedly make you appear more youthful. Now I am yet to experience that, but I really love this thing - it feels really calming and soothing to the face - at the very least, it is working its magic in that regard. 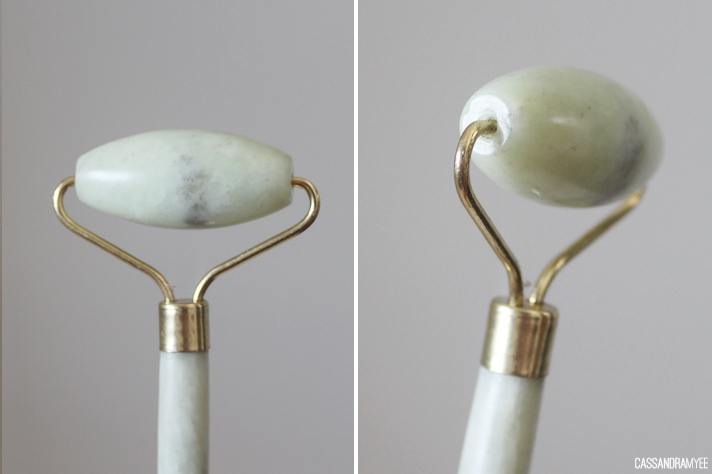 This massager has two ends, a much larger one (great for all over the face) and a smaller one (perfect for the eye area). The idea is to use it rolling from the centre of the face outwards, or downward, down the neck. I have this sitting beside my desk, so when I need a bit of calm amid the stress of uni, this comes in handy. It is also great for soothing headaches and hangovers and the Jade is instantly cooling to the skin, and you can place it in the fridge for an even colder sensation. At first, I thought this was pretty gimmicky, but at only $4 I couldn't resist trying it out and it actually feels amazing on the face! 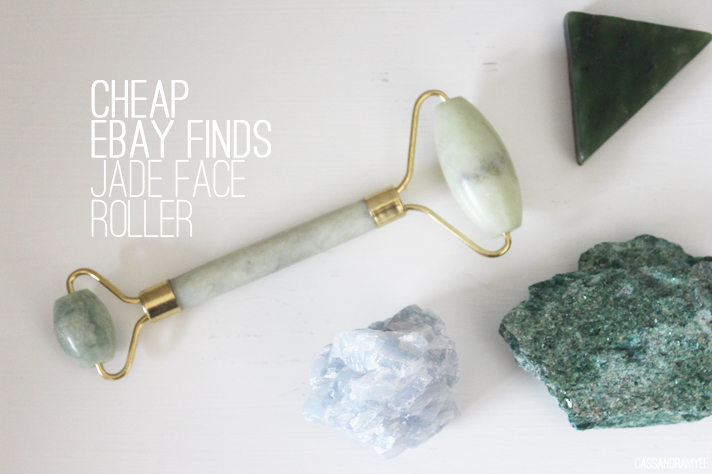 Have you tried a face roller before?